With Juddmonte having released an updated list of mares that are visiting Frankel in his first year at stud and media speculation mounting that Black Caviar will join them, now is a good time to consider the Frankel sire betting markets. 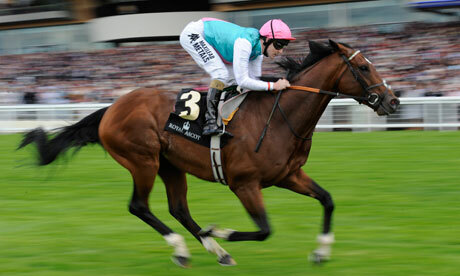 Frankel is, in the opinion of many horse racing experts, the world’s best thoroughbred ever. Foaled in 2008, Frankel is a bay horse by Galileo out of Kind. Frankel made his debut at Newmarket on 13 August 2010, beating fellow newcomer and future King George VI and Queen Elizabeth Stakes winner Nathaniel by half a length, albeit with a bit to spare. By the time that Juddmonte boss Khalid bin Abdullah Al Saud took the decision to retire Frankel to stud, the top-rated thoroughbred of all time had won 14 consecutive contests, including the 2011 English 2,000 Guineas. Since 1900, of British thoroughbreds only Ribot has won more races than Frankel and finished his career unbeaten. Frankel’s record of nine successive Group One victories is unsurpassed, with only American filly Zenyatta equalling that superb tally. Odds pertaining to Frankel’s first crop have been put up and taken down by bookmakers at regular intervals since his last racecourse appearance in October 2012 but, of those that are available currently, the 6-1 about him siring a winner of an English Classic with his first crop is the most interesting. Frankel has the bloodstock world at his hooves. Breeding experts, particularly those who place great importance on the dosage index, believe that Frankel did remarkably well to win so many races at seven furlongs and a mile. According to dosage disciples, Frankel was bred to excel over middle distances and several of them advised backing him to win the English Derby over 12 furlongs at Epsom before he began his three-year-old season in Newbury’s Greenham Stakes. With a dosage index of 0.94 and centre of distribution of 0.10, Frankel’s profile is very similar to that of 2012 English 2,000 Guineas and 2012 English Derby winner Camelot (0.94 and 0.10). Camelot ran in the 2012 English St Leger and would have completed the first English Triple Crown since 1970 had Joseph O’Brien given him a half-decent ride. So, unlike many expensive, high-profile stallions, Frankel has the potential to sire a winner of any of the five English Classics that range in distance from one mile to 14 and a half furlongs. Of course, much will depend upon the quality of the mares that Frankel covers in his first year as a stallion. But the early signs are very good indeed. The most recent list of Frankel visitors that Juddmonte has published includes more than 60 Group One-winning and/or Group One-producing mares. Nine of the mares – Dancing Rain, Finsceal Beo, Light Shift, Maycocks Bay, Musical Treat, Quest To Peak, Ramruma, Sariska and Waldmark – have English Classic-winning form either as a racer or as a dam. And the list of mares is very likely only to improve in quality as berths become scarcer and Frankel’s owner gets fussier. While most of the other 12 horses that received a Timeform rating of at least 140 had successful stud careers, none of them sired an English Classic winner with their first crop, although neither Harbinger nor Sea The Stars have had the chance yet. That is one reason not to snap up the 6-1. However, there are three reasons why the 6-1 represents a value bet. First, Frankel’s sire, Galileo, got the job done when Sixties Icon won the 2006 English St Leger, justifying a starting price of 11-8 to prevail by two and a half lengths from The Last Drop, with Red Rocks in third. Second, Frankel is the best thoroughbred ever in the eyes of most horse racing aficionados. His Timeform rating of 147 is two pounds higher than that of 1960s superstar Sea Bird and a baker’s dozen superior to that of his sire, Galileo, who has won countless awards since becoming a top stallion. And third, when complete, Frankel’s book of mares is likely to be the finest to visit a new stallion in horse racing history. It will be the thoroughbred equivalent of this year’s Miss Universe delegates making babies with the supposedly hottest man on the planet, Channing Tatum. If one takes the 6-1 available at Bet365 about Frankel siring a winner of an English Classic with his first crop, one will have an interest in the bloodstock story of the millennium until the English 1,000 Guineas, English 2,000 Guineas, English Derby, English Oaks and English St Leger are contested in 2017. Back to normality? Tiger Woods looks like he will be fist pumping alot more after his return to the top of the Official World Golf Ranking. The Masters Tournament, also known as The Masters or the US Masters, is the first of golf’s four major championships on the calendar and, arguably, the most prestigious of the lot. Unlike the three other major events, the Masters Tournament takes place at the same venue every year, with the Augusta National Golf Club in Georgia having staged the competition since its establishment in 1934 when Horton Smith won by one stroke, shooting four under par to edge out Craig Wood. Smith did not receive one of the famous green jackets. That Masters Tournament tradition did not start until 1949 when the legendary Sam Snead won the first of his three titles. The king of the Augusta National Golf Club is Jack Nicklaus, with the Golden Bear having won an incredible half a dozen Masters Tournaments between 1963 and 1986. Tiger Woods is closing in on Nicklaus, though. Woods has four Masters Tournament titles to his credit but he has not worn his green jacket since edging out Chris DiMarco in 2005. 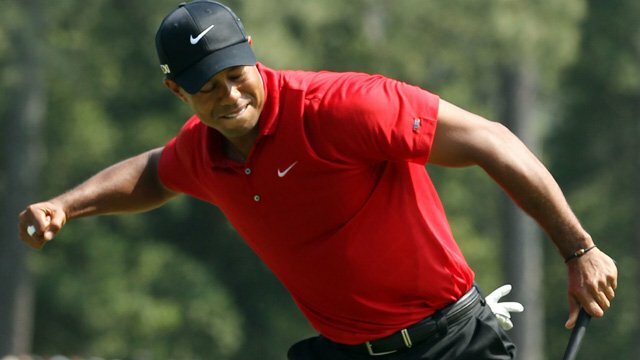 With Woods returning to the top of the Official World Golf Ranking ahead for the 2013 Masters Tournament, bookmakers have had a very easy decision as to which golfer in the limited field merits the tag of championship favourite. Woods has not won the Masters Tournament since 2005 but most golfers would kill for his Augusta National Golf Club record over the last seven years, which includes no fewer than six top-six finishes. Woods is trading at odds of around 9-2 to break his major championship barren run – he has not won a big one since taking out the 2008 US Open – and anyone who does not consider him a serious contender is an idiot. After all, Woods has won both of his last two starts and his game is suited perfectly to the Augusta National Golf Club course. Woods is one of the longest drivers in professional golf and he tops this year’s PGA Tour eagles and strokes gained putting charts. Woods will be there or thereabouts when the 2013 Masters Tournament enters its final stages. The cream rises to the top at the Augusta National Golf Club – one can count the number of recent shock winners on the fingers of one hand – so it makes sense to concentrate on big-time golfers who can hit the ball a long way, birdie or eagle par fives on a regular basis and get up and down in two strokes when they run into trouble around the greens. No Australian has won the Masters Tournament but Jason Day could make history in 2013. Day finished in a tie for second place on his first appearance at the Augusta National Golf Club two years ago and one can ignore his 2012 performance when he withdrew not even halfway through his second round. Bookmakers are quoting Day at odds of around 66-1, odds at which he makes very strong each-way appeal. Day has started this year by making seven cuts in a row and posting three top-10 finishes, while his 2013 PGA Tour driving distance ranking of 13th and par five birdie or better ranking of 12th mark out him as having skills suited to the event. Keegan Bradley made his Masters Tournament debut last year when he finished joint 27th. Bradley has the game to be a major force at the Augusta National Golf Club, with the American being in the top five rankings for both driving distance and par five birdie or better on the 2013 PGA Tour. Also, Bradley has demonstrated that he can hold it together when the acid is on, winning the 2011 PGA Championship and going close to winning back-to-back editions of that event. Bookmakers are offering Bradley at win odds of around 28-1 and, like Day, he makes each-way appeal, particularly if one can get those odds with a firm paying six places. Another golfer worth a look is Peter Hanson because he is generously priced at odds of around 80-1 based on his statistics and his tie for third position in the 2012 Masters Tournament. Many bookmakers are offering 2013 Masters Tournament special offers. The pick of them is BetVictor’s deal that means it will refund all losing pre-event winner bets, up to maximum of 50 British pounds or 50 euro, if either Rory McIlroy or Woods visits the Butler Cabin to put on a green jacket. BetVictor is betting not much bigger than 9-4 that either McIlroy or Woods triumphs in the 2013 Masters Tournament and, while that price incorporates a healthy theoretical profit margin, the true probability of its offer being activated is still around the 20 per cent mark. Obviously, it is not worth backing Woods with BetVictor – one is better off shopping around and picking out another 2013 Masters Tournament special offer – but if one is going to oppose the warm favourite then it is the place to do it.